A New Jersey real estate company has purchased the Newsday’s Long Island headquarters for $54.5 million. Hartz Mountain bought the 48.3-acre site in Melville from the Tribune Company, which owns the daily newspaper. The developer plans to raze the building and replace it with an 800,000 s/f logistics center at the property, 235 Pinelawn Road, which is one mile from the Long Island Expressway. Both the buyer, Hartz Mountain, and the seller, Tribune Real Estate Holdings, were represented by a trio of CBRE teams. Jeffrey Dunne, Steven Bardsley and Travis Langer of the firm’s Institutional Properties Group worked on the deal along with Philip Heilpern, Martin Lomazow and Matt Manoogian of CBRE’s Long Island office and Adam Seltzer of CBRE’s Los Angeles office. The property is Hartz Mountain’s first acquisition on Long Island. The developer owns numerous assets in the Garden State, much of it industrial. 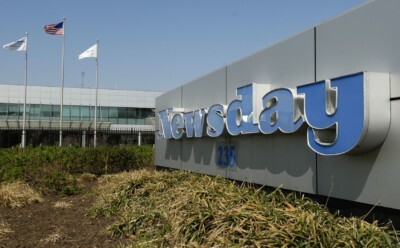 Newsday, which used the 413,500 s/f office building to house its newsroom, printing and distribution operations, plans to move to another, smaller location elsewhere in Melville, according to its own reporting. The newspaper has already shifted its printing to the New York Times’ facility in College Point, Queens and it plans to eliminate the physical paper altogether in the near future, moving to an online-only platform.